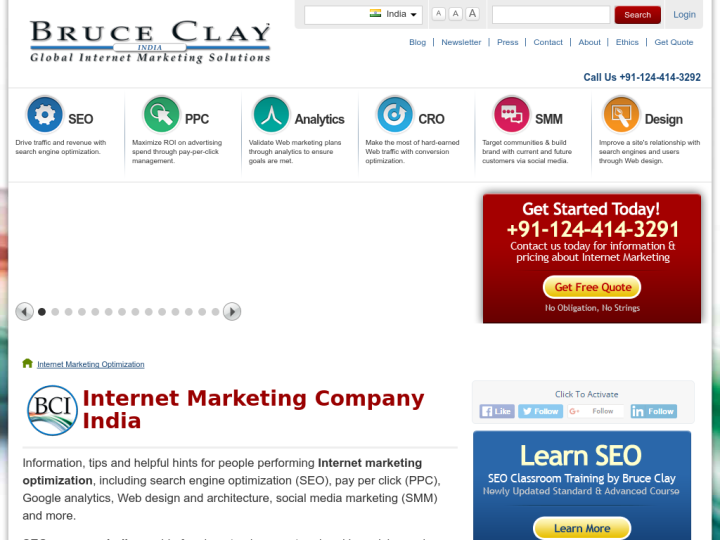 Bruce Clay India is an internet marketing optimization company in Gurgaon. It provides Search Engine Optimization (SEO), Pay Per Click (PPC) advertising management, SEO friendly web design and information architecture and Social media and conversion rate optimization services. BCI established in 1996 through contributions such as the 746 page Wiley book Search Engine Optimization All-In-One for Dummies, the SEO Code of Ethics, Search Engine Relationship chart and SEO training and certification programs that promote ethical SEO practices. 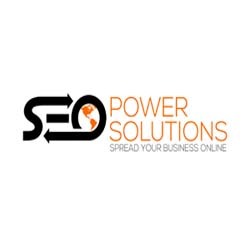 The premier SEO Company in the industry with stellar PPC management services, as well. I highly recommend you consider BCI if you are working to maximize your internet marketing efforts. I would highly recommend this company to anyone looking to improve traffic to their website. Professional, honest and integrity are the words that best describe this company. While there is NO Doubt that they are one of the first pioneers in the SEO industry before when nobody even knew what SEO was, they still tended to remain with the same old tactics and charge exorbitantly high prices and sell their services based on reputation, not results. While they have extensive knowledge in this industry, the norms have changed and content marketing is the new king whilst the company still heavily relies on SEO. There is no such thing as content marketing on his blog. It is all SEO, SEO and articles. Bruce Clay, Inc. is a forward-thinking, industry-leading digital marketing agency that produces next level results for its clients. I have worked here for 3 years and I am extremely proud of the work that we do. Yep, I work here. Smart people and good service. Team at Bruce Clay India really knows how to make SEO work its magic to improve website rankings. Their incredible SEO services and SEO training programs have helped many clients reach the first page of google with aplomb. Realy! Awesome You Have sharing the Good information. Thank you for all informations. Helped me a lot to understand. On Day 2 of the standard training, so far it's been OUT of this world. I couldn't take notes fast enough, every writer/blogger/content creator should attend his class.